Welcome to the new Superior Power Equipment Sales and Service blog. I intend to update this frequently. Email me with any questions you would like for me to consider for future blog posts. Mower features you don’t need? 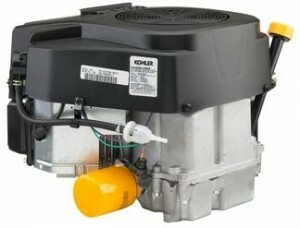 I recently read an article posted on the Consumer Reports website regarding unnecessary features on mowers. While I agree some mowers have far too many features or at least far more features than are “needed”, some of these features are really nice. Some of the features Consumer Reports deemed as “unnecessary”, I believe really do make a difference. While in a round about way, they may have a point (the larger rear wheels require different brackets which place the wheels further back), that is NOT the point of the larger rear wheels. The point is that they are easier to push because the wheel diameter is larger and thus the ground has “more leverage” to turn the wheel. Another advantage of larger rear wheels is if there is any need for you to pick the front end of the mower up to push it over an item (stump, uneven terrain, driveway gravel, etc). I have even seen people be able to load a mower onto a trailer by themselves that they could not have loaded otherwise. They simply pushed the mower up to the trailer, pushed down on the handle and pushed the front wheels onto the edge of the trailer deck. Then the picked up on the handle and pushed the mower onto the trailer. If you are a commercial cutter and use the mower to trim lawns this could also be seen as a time saving tip. With that in mind, a consumer grade push mower will not endure commercial use very long! The point Consumer Reports made falls more into the “disadvantages” category. Another disadvantage of larger wheels is that they are slightly less stable as far as durability (not as far as mower rollover stability). The brackets also tend to have more pressure on them making the brackets and the deck more likely to break. With this in mind, consider whether or not larger rear wheels are worthy of your investment dollars. Next time we will look at another facet of their report with which I disagree. Until next time, keep your engines running!